Welcome to Toowoomba Butcher's Supplies On-Line Store. 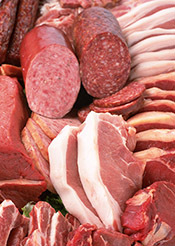 This is the place to order any product you may need for your butchering requirements. Toowoomba Butcher's Supplies is a 100% Australian owned Company with a solid reputation for superior service and quality products at more than competitive prices. This proud family-owned Company has been supplying the meat industry for over 7 years and is based on a commitment to personalised customer service not often seen today. Our staff have over 40 years combined experience in the industry and are very professional in the way they perform their duties. If you would like to view some of our products & prices, please log in or create an on-line account with us. Please remember, as we have 1000's of stock lines available to us, not all are listed here. If you can't find what you want, please contact us and we're sure to be able to help.